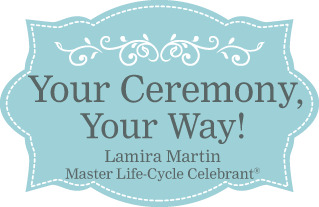 It will be my pleasure to meet with you and discuss your special ceremony. Call or email and I will get right back to you. Thank you so much for the wonderful job you did at our wedding. We both thought that you did an amazing job! The ceremony was just perfect and we received so many compliments on it. It was just the way we wanted it to be which is what your slogan describes. Thank you again for helping to make our wedding day perfect and special! !